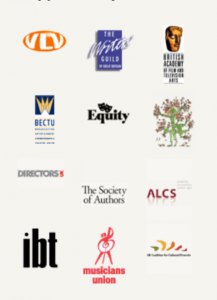 Save Kids’ TV was a coalition of parents, producers, artists, educators and others passionate about screen-based media used by children in the UK, and concerned for its future in the face of intense financial pressures. The campaign activity of Save Kids’ TV has been taken on by a new organisation – The Children’s Media Foundation which has a broader remit but espouses the same aims – to continually improve the media choices of UK kids. Formed by a merger of the Children’s Film and Television Foundation and Save Kids’ TV, the CMF’s purpose will be to pursue quality in children’s media of all kinds, on all platforms. It will work with the academic community, to stimulate and disseminate research around kids and media, act as Secretariat for the new All Party Parliamentary Group on Children’s Media and the Arts, and generally provide a focus for parents, educators, policy makers and the press on all matters relating to children and their media lives. Some people think that children are well served by the channels providing programmes for them, and their favourite websites. But few realise that many of the programmes are imports and many of the websites are associated with programmes or products which do not originate in the UK. In 2007 Ofcom reported that only 1% of the content watched by children in the UK was newly made in Britain. The rest was a diet of imports and repeats. This situation has been made worse by the collapse in advertising revenue on the commercial channels for children, which means that commissioning of new children;s content has severely diminished, whereas only a few years ago CITV and FIVE’s Milkshake provided healthy competition for BBC Children’s. Our children need and deserve a media diet as rich and stimulating as previous generations enjoyed – and they should be able to see content which reflects their everyday lives and the culture of the country they live in. Children need to hear their own voices, experience their own stories and see the places they live in, if they are to become rounded, engaged citizens. More about the background and context in our info page. 2008-2009 Save Kids’ TV contributes to the Digital Britain consultation on the future of telecommunications and broadcasting. STV proposes a “funded destination” – a body financed to commission programming for the VOD space in partnership with broadcasters and in competition with the BBC – a “public service alternative”. 2011 – SKTV commissions research into the advantages provided to producers of children’s content in competitor countries – including Europe. Our report on the lack of a “level playing field” for UK content-makers is presented to the DCMS. 2011 – meetings with the Broadcasting Minister explore new possibilities for funding alternative public-service content, given the downturn. 2011 Save Kids’ TV sets up the first All Party Parliamentary Group for Children’s Media and the Arts – which will continue under the Children’s Media Foundation umbrella. 2011 collaboration begins on the first research project to assess the links between societal engagement and locally produced television – once a gain, a project to be inherited by the CMF. The campaign continues at the Children’s Media Foundation. Please support if you can.